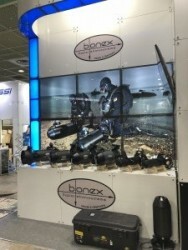 BONEX Scooters are the result of years of intensive development. The underwater scooters are the most compact professional scooters world-wide. The performance/weight ratio of the scooter is unbeatable. It is a perfect combination of low weight and long runtimes. 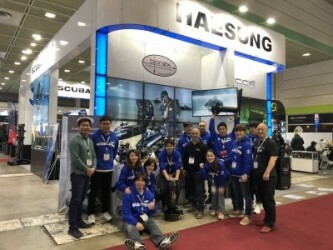 from February 22th to 25th 2018 the Korean Underwater Sports Expo (KUSPO) took place in Seoul. Equiped with our compact, lightweight professional scooters, we have successfully shown presence among many international exhibitors. Discovery RS: with QCS charger, system handle, emergency drive switch, quick shift, torque control, tow cord. Infinity RS: with QCS charger, system handle, emergency drive switch, quick shift, torque control, tow cord. Start looking forward to the new opportunities a BONEX scooter will give you.